Lake Coeur d'Alene is as beautiful as it gets, and this vacation condo in Harrison is the perfect place to play, stay, and have a whole lot of fun! Sleeping four guests, this condo includes access to an indoor shared pool, volleyball courts, and the beautiful marina. 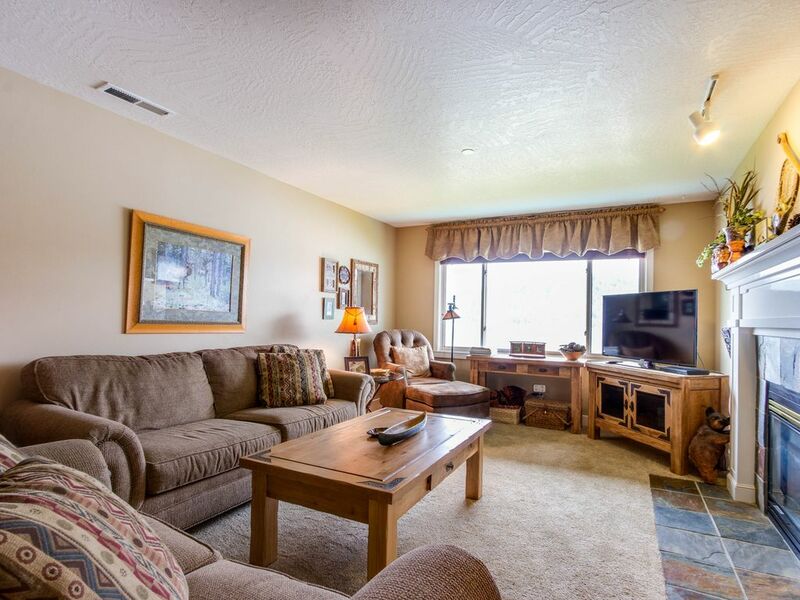 This wonderful condo is in the Arrow Point Resort right on the lake, and boasts plenty of amenities and lake views. Step through your front door and fall in love with the Northwestern country feel! In the living room, you'll enjoy relaxing and watching something on your flatscreen - it has cable as well as Smart TV features like Amazon Prime, Pandora, and HBO GO. If you can't all agree on what to watch, you'll find flatscreen TVs in every bedroom. Complimentary WiFi is also offered, so bring your laptop with you to take advantage of this wonderful feature! Cooking is easy in your fully equipped kitchen with pots and pans, dishes, and all the appliances you need, including a dishwasher! This room is connected to the dining room and living area, where you can sit, eat, and chat about your day on the lake! This condo accommodates up to four guests. You'll enjoy sleeping in two lovely bedrooms, each with a king-size bed. This condo has two full bathrooms, including one en suite bathroom with double sinks. Make your way out to the patio and enjoy your barbecue grill and small dining area that overlook the lake. You'll also enjoy a private washer/dryer, air conditioning, and elevators to all floors. This resort includes access to an indoor swimming pool and outdoor volleyball court - perfect for having some fun and getting a little exercise while you're at it. You'll also have access to the beautiful marina. Looking forward to spending your vacation on lake Coeur d'Alene? Book today for 135 miles of gorgeous shoreline in one of the best vacation destinations in Idaho. Parking Notes: Your assigned garage space is marked F-205. Should you have more than one car, the second car must be parked outside the building in the open parking lot facing the volleyball court/pool house. Boat parking is available from Discovery Marina for $35 per day on "C" Dock. The setting and views were excellent. The furniture and decor exceeded our expectations. Would highly recommend. Great location - Right on the water! Great location, right on the water. Everything was very clean, comfortable, kitchen stocked with everything you need for food prep, lots of mirrors (we always think that is a bonus in a rental house) easy parking. Great patio for relaxing and looking out at the water. We actually ended up booking for an extra night. It is about a 30 minute drive to Coeur d'Alene and 30 to downtown Harrison.